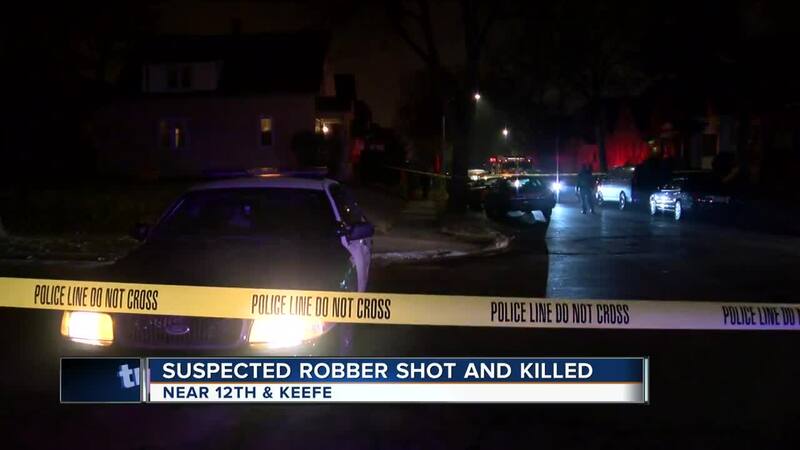 A 32-year-old woman was killed after a targeted robbery near 12th and Keefe Wednesday night. An elderly mother and son say they were defending themselves and their home, when they shot at two people trying to rob them. It happened the day after Christmas, around 5:30 p.m. on North 12th Street, near Keefe Avenue . Milwaukee Police confirm a 32-year-old woman was killed. Henry Bell, 75, has just parked outside the home he shares with his mother, Hazel Kendrix, 95. As Bell was walking towards the house, Kendrix watched him get attacked by two people. "They had the hoods of their jackets up, covering their faces," Kendrix said. "They ran up and grabbed him and were grabbing on to his clothes. Pulling on me. They were looking for his wallet. He was trying to fight them off and run toward the house." That's when Kendrix took action. "I met him at the door with my gun," she said. "We told them to get out of here. But they didn't stop. It was like they were going to come into the house. Henry told me to shoot them, but I couldn't." Kendrix couldn't shoot, because she has arthritis. Her hand was too weak to pull the trigger. "So, Henry yelled for me to give him the gun," she said. "After I handed it to him, he shot three times. Then the two people ran off across the street between the houses." One of them collapsed. Police confirm that was a 32-year-old woman, who died at the scene. "I feel bad," Kendrix said. "Yes, I do feel bad." "I'm just sick over this," said Helen Smith, the daughter of Kendrix. "They have been targeted here, like this before," Smith said. "So whenever my dad is coming home after dark, he calls her, and she meets him at the front door. They shouldn't have to do that. They should be able to live in peace at their ages." "I don't understand why young people are doing this kind of thing," Kendrix said. "It really needs to stop." Milwaukee Police have not released any information. They only confirm that they did take 75-year-old Henry Bell into custody for the shooting.